Browse > Home / Aonang Beach / Krabi Tipa Resort. Tipa Resort lies on a tropical landscape hillside with beautiful appointed rooms and splendid view of the gardens. Open all year, the seasons are green, warm and inviting, suitable for a holiday that you truly deserve. 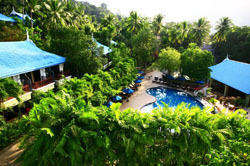 Tipa Resort nestles in a lush tropical setting in Ao Nang, Krabi. Friendly staff and beautiful appointed, comfortable accommodation makes this the perfect holiday location. Enter our large airy lobby, and be treated to a warm welcome. 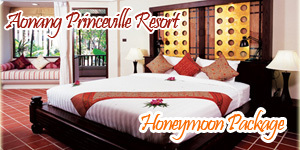 We look forward to ensuring your supreme comfort and convenience at our Resort. 66 Deluxe rooms, in all ground floor rooms are specially adapted for Handicapped guests. 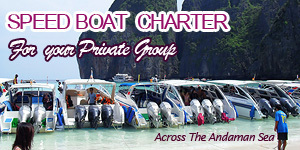 From which ocean views of Ao Nang and the natural surroundings can be enjoyed. Individually controlled air – condition. Soap, shampoo, conditioner and shower cap. Daily complimentary two bottle of water. Hair dryer in every Superior and Deluxe room categories, bungalow on request. Connecting room is available in Superior and Deluxe categories. Coffee maker is available in every room. Rooms on the ground floor are specially adapted to Wheelchair access ramp, hand bar in toilet, bedroom and balcony are 0.9 m. wide, bathroom door 0.6 m. A Wheelchair ramp is provide for the reception access. Some public areas are not adapted for wheelchair guests because of steps, therefore it is recommended that disabled guest have a person to help. No lifts in the resort. Car, bike and boat rental with tour information desk. Restuarant : Our all day dining and open air restaurant is situated in a garden setting away from the hotel lobby. The Ocean Restaurant offers you hospitable service and is open daily from 7:00am to 11:30pm.